Is the Ad Grant right for your non-profit? 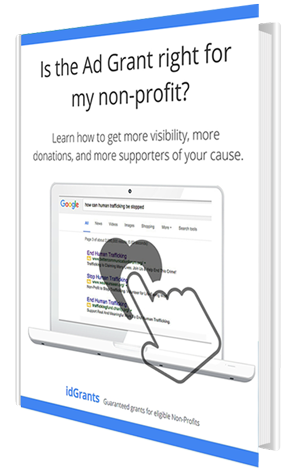 Learn how to get more visibility, more donations, and more supporters of your cause. 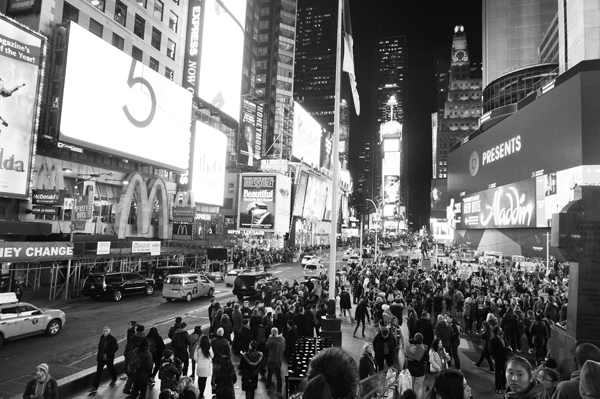 Would you rather advertise on a billboard in the desert or a billboard in Times Square? Get your Non-Profit found, connect with supporters across the web and make a real difference. When you get your advertising grant though idGrants, you’re doing all of that and more. Ad Grant ads receive thousands of impressions per month and millions of impressions per year. Whether you’re looking to attract new donors, increase event attendance, get more volunteers, or keep donors coming back, idGrants will help. Target potential supporters on Google exactly when they’re searching for things related to your cause. Eligible non-profits will receive up to $320 a day to cover the cost of AdWords. We guarantee you get the grant or your money back. Contact us to see if you’re eligible. Whether you're looking to bring in new volunteers, grow online donations, or keep donors coming back, idGrants can help. We have many packages to choose from and we can help connect you to a business sponsor. Target potential donors in certain cities, states, countries, or regions. Get your non-profit found by people on Google exactly when they're searching for things related to your cause. We specialize in acquiring and managing the Google Ad Grant for non-profits and guarantee you get the grant or your money back. We are trained specifically for Google AdWords grant management. Is the Ad Grant right for my non-profit?